The main character is never in any danger of getting hurt until the very end of the film, killing any potential suspense. The Navi have dubious double standards about the sanctity of life when dealing with humans and alien creatures. The Navi, their dragons, and the humans feel like plot devices more than well-rounded characters. The movie’s moral message is ham-fisted and trite, always casting humans as the bad guys. Seriously, the only good humans are the ones who reject their humanity and want to put their souls into alien bodies. The militant humans could easily win any conflict against primitive weapons, making the final battle utterly ridiculous. Despite all of this and the fact that I feel no desire to ever revisit Avatar, I am going to watch its sequel when it finally debuts on December 18, 2020. In fact, I intend to go to a midnight showing to see it as early possible. Why in the world would I do this, you might ask? There are three reasons. I feel obligated to see Avatar 2 because of a promise I made to a friend. In February 2010, the company I had worked at for just over a year downsized me two days after my first child was born. It was a shocking development, thrusting me into unexpected unemployment for the first and only time in my professional career. I was desperate to find a new job fast, and thankfully I found a Craigslist ad for a writing position at a company in the same office building I had just been working at. I went into the interview nervous but hopeful that I could make a good impression. The man I interviewed with was impressed by my experience and I made several boasts about my writing skills that I was able to back up. Everything was going great until he casually brought up Avatar. He asked me if I had seen it, just as a little aside at the end of the interview. Tossing out the window all of my concerns about looking professional, I went on a tirade telling him exactly what I thought about that film. It was horrible! It was stupid! It didn’t make any sense! The characters were utterly forgettable! The only reason people had anything good to say about it was because of the special effects! Naturally, my interviewer was taken aback. He hadn’t expected a huge explosion like that over something as simple as a question about a movie, of all things. But, as you can probably tell from my writing on this website, I can be pretty passionate about films I love or hate. He thanked me for coming in, we shook hands, and I left. I later learned that after I left he went to the CMO, who asked what the interviewer thought about me. “Well,” he responded, “he doesn’t think much of Avatar.” Despite my emotional performance (or maybe because it was so memorable), I got the job. I’ve been at that company ever since then, which is extraordinary by itself. My outburst over Avatar has become something of a legend amongst my coworkers. We have frequently joked about it. 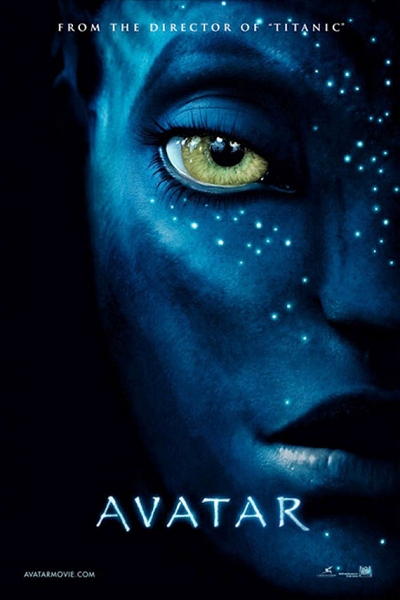 In fact, a while after I started working there, I was asked if I would ever watch the many planned sequels to Avatar. In honor of the fact that that first film made such an impression on the most important job interview of my life, I agreed. I am dedicated to watching every single Avatar sequel with my coworkers. We intend to see them opening night, if possible. I’m a man of my word. I’ll do it. Most of my original coworkers are still there, and we still have every intention of making good on our pact when the time comes. The other two reasons are subordinate to the first. 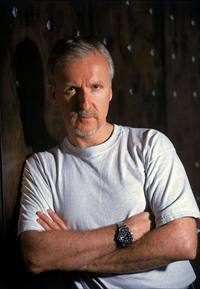 I adore James Cameron, and he’s still one of my favorite filmmakers of all time. He’s allowed to make a misstep, just like anyone. What really disappointed me about Avatar was the fact that it was his first bad movie after making so many great ones over the years. I just wasn’t prepared to be so bored by a James Cameron film. But he’s still one of the best in the business, even if he does take forever to get his act together and finish a script (or four). My third reason for wanting to see Avatar 2 is because I think it could turn out to be a great film. I genuinely have no idea where the story could go from where the first one left off. Could the Navi have to fight a foe that comes from the other side of the planet or from within the planet? Or could an outside alien force come and threaten the Navi, forcing them to team up with humans to defend themselves and Earth from a common enemy? What if Cybertron invades? Cybertron, Cybyerdyne – it’s not that big of a leap. Perhaps the Navi will move beyond their primitive ways and harness technology to engage in space exploration of their own. I just don’t know. But there are four films’ worth of ideas to explore, so hopefully James Cameron has something really interesting up his sleeve for this first sequel. This entry was posted in Random Stuff and tagged action movies, avatar, films, james cameron, movie review, movies, science fiction, sequels. Bookmark the permalink. I liked this post! Very well written. You’ve got my follow. Check out my comedy blog and give it a follow if you like it! I really appreciate your commentary on this. Avatar was the first 3D film I ever watched and as such was exciting to me at the time. That said, your points are very valid. Not too long after watching it I wrote an essay exploring the white messiah complex and ended up focusing on this movie to support it. So, while the initial excitement got me, on further examination I came to nearly the same conclusion as you!